Join us at 7.30pm on Thursday 17 May for an evening of comedy as the one and only Peter Kay Tribute Act – Lee Lard – performs in The Venue at Bishop Grosseteste University (BGU). Now in his 10th year and with over 2500 performances under his belt, Lee Lard is still being voted the most popular comedy tribute act in the UK. 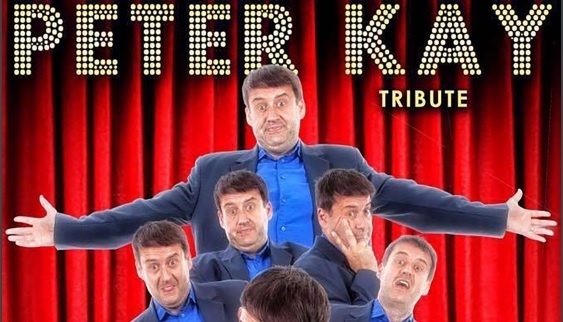 His outstanding tribute to Bolton’s funny man Peter Kay has been enjoyed by thousands of fans throughout the UK and abroad and is as popular now as ever continuing to sell out wherever he goes! With a show packed full of Kay highlights from ‘Phoenix Nights’ to ‘Max and Paddy’ and beyond, Lee appeals to an audience of all ages, delivering his own hilarious ‘Peter Kay’ style of stand-up comedy. Lee started as a comic back in 1993, going pro in 2000, making his name in the early days as a part of comedy duo ‘Lean & Lard’. After being invited to work alongside Peter Kay on the biggest comic relief video ever in March 2005 this new career was born! Tickets are £14 each with a student rate of just £10. For further details please contact Daisy Wedge on 01522 585635 or email daisy.wedge@bishopg.ac.uk. You can find more information on the all the exciting events coming up at the Venue throughout the year here.